If you haven’t figured it out, the Grumpy Household is Crazy for Chicken Wings! We love wings, we just don’t eat them often. It is hard when you move to a new area to find a place that makes wings the way you like them, or the way your favorite place back home made them. Our favorite place in Northern NY was Doug’s Tavern in Heuvelton. They have the best wings I have ever eaten when ordering them out. As a matter of fact, before moving down here last year, I joined some current and former students (if they read this now, they know they were my favorites!) at Doug’s for my goodbye. Good food, sad occasion. I can hardly believe it’s been almost a year now! Back to the wings. I have two reasons I rarely make or buy wings. First of all, I don’t enjoy frying food in my home. The best way to make wings in my opinion is in our turkey fryer where I let Grumpy do all the work! I hate spattering grease. My second reason is the simple fact that they are not the most healthy food for you even if you’re baking them in the oven (unless your going skinless chicken wings…but that just isn’t the same). So, to us, they are a rare treat. 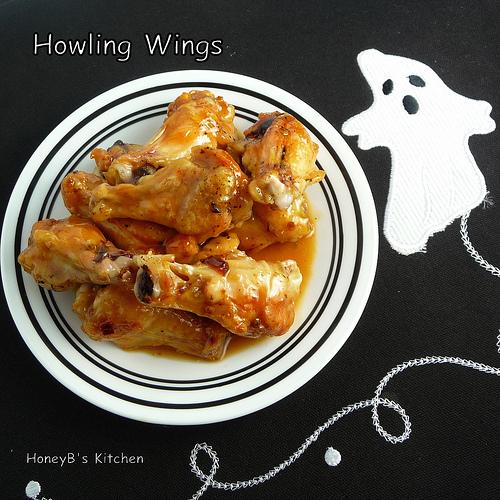 Our very favorite way to eat hot wings is my recipe right on the Frank’s Red Hot Sauce bottle. I know they make a hot wing sauce now too but I prefer to mix it up myself. I also like to mix them up a little with different flavors at times, but Grumpy usually complains when I do that. Below are some of my favorite ways that I have made hot wings. **Note – all the below are guides – please adjust amounts to your own tastes. 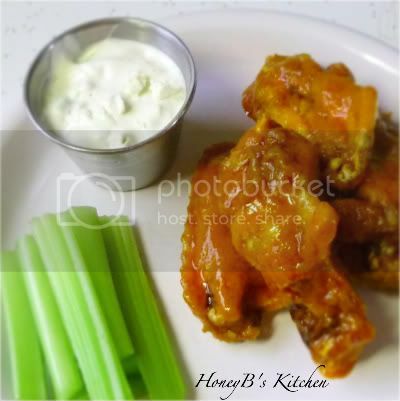 Maple Hot Wings: Stir in 1/4 cup pure NY Grade A (what we use) maple syrup with hot sauce (this is my favorite way! My husband only likes boneless wings. I've never even looked, can you buy raw boneless chicken wings? He'd love all the flavors, including this one. Wings are a treat here too but I love them and this would be great game food too! I love wings especially during football games. Looks delicious! The honey mustard one must be delicious,I am a wing fanatic!! 🙂 Thanks for sharing these wonderful flavors. oh my gosh, i love wings! these look so good! Will try the garlic sauce and honey mustard sauce. These look so nice and sticky sweet! The version with honey more garlic I bet is fantastic and simple. For sure I'll try when I've a interesting quantity as leftovers or similar.